Calle Francisco Leyva s/n, Centro , Cuernavaca , Mor.. 62000. 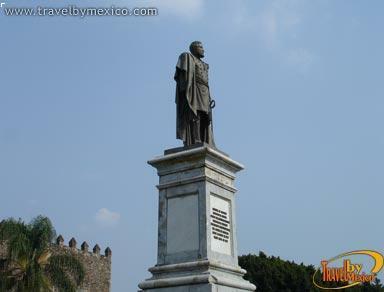 Illustrious character who was born on October 16, 1839 in the village of Toro, Choix, Sinaloa. 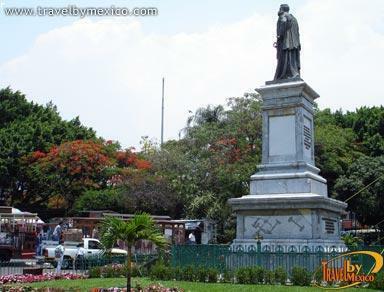 Fought under orders of Placido Vega and Porfirio Díaz and on May 1, 1864 with the rank of captain, fought against the empire of Maximiliano, bravely defending the republic of Benito Juarez against foreign intervention. 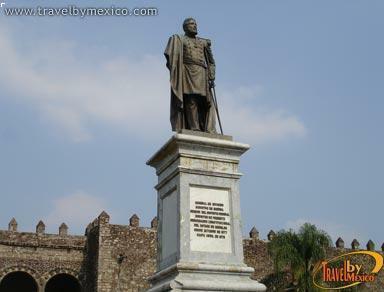 It was Major General, Minister of War, Governor of the Federal District, Minister of Public Works, Constitutional Governor of the State of Morelos from October 1877 until April 1879. 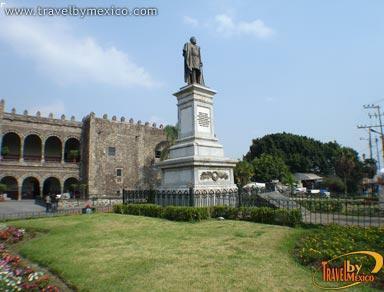 Declared Benemerito of the State of Chihuahua, he died in Mexico City at the age of 52 years on September 15, 1891. 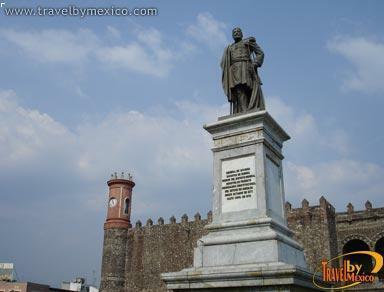 The Honourable municipality of Cuernavaca honor his memory inaugurating and giving the Monument General Carlos Pacheco Villalobos to the attending people.